Before we can talk about reducing the amount of antibiotics used on-farm, it is first important to be able to measure and understand what is being used. How can we improve what we cannot measure? Accurately measuring antibiotic use on farms is a complicated task, and the challenges vary according to each sector. At the moment, this information is published annually by the Veterinary Medicines Directorate (VMD), the Government body responsible for veterinary medicine use in the UK. These published figures represent national use data, but are of limited value when trying to measure what is happening on an individual farm. There have been efforts recently to improve on-farm measurement of antibiotic use, with different approaches used. 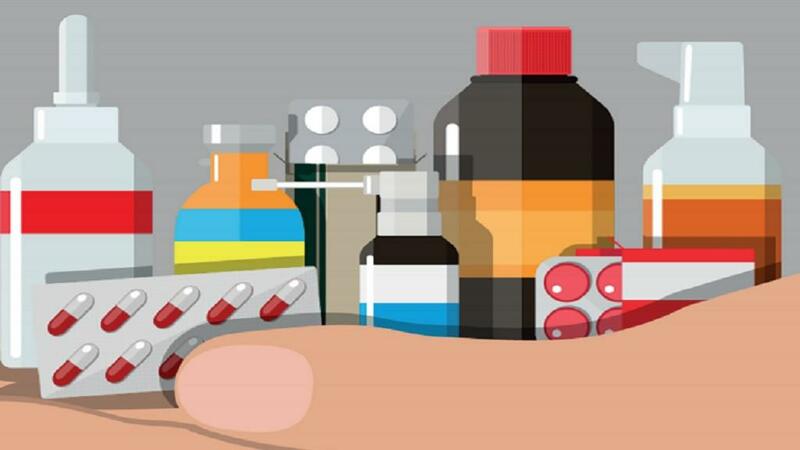 Researchers at the University of Bristol have been developing improved ways of measuring and recording antibiotic use data, and this is a quickly evolving topic. There are many ways antibiotics can be measured at individual farm level. The most simple might be total weight of antibiotic prescribed to the farm by its veterinary practice but this does not take into account the number of stock. One of the most common measures of antibiotic use is the total weight of antibiotic per population corrected unit (mg/PCU). This takes into account stock the numbers and essentially gives a number which can be compared between farms. This is the measure used by VMD when publishing national use data. Other common measures of antibiotic use are defined daily doses (DDDvet) and defined course doses (DCDvet). Using DDDvet measures the total amount of antibiotic used, taking into account the number of animals and the daily dose rate for that specific antibiotic, which helps compare use between antibiotics that have different dose rates. ways of measuring antibiotic use that you might come across. The important thing is to use the same measuring system as the target or figure you are benchmarking against and your vet should be able to help you to choose the measurement most appropriate for your farm. ONE important area most key stakeholders are agreed is that highest priority critically important antimicrobials (HP-CIAs) should be measured separately to other antibiotics. 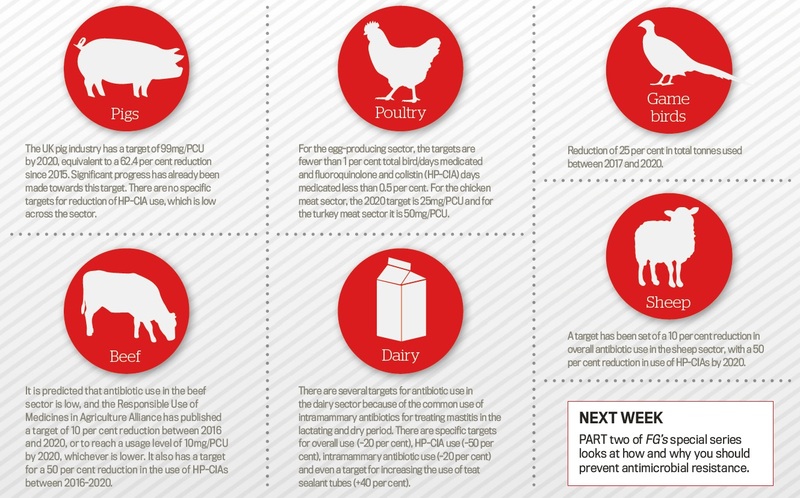 HP-CIAs have been defined by the European Medicines Agency as antibiotics used in agriculture which are critically important to human health, and as such, their use should be kept to an absolute minimum. Fluoroquinolones, third and fourth generation cephalosporins and colistin are regarded as HP-CIAs. These have a relatively low total weight compared with non-HP-CIA, which means changing from using a HP-CIA to a non-HP-CIA might actually increase a farm’s overall antibiotic use. This is why HP-CIA use should be measured separately, and why separate targets have been published for HP-CIA use.